Village Aid works in partnership with YOWE, a small community organisation in rural Ghana to help to diversify the income of some of the poorest rural farming communities. Meet Thomas Djangme. He is a farmer in the village of Korme Towe in rural Ghana. 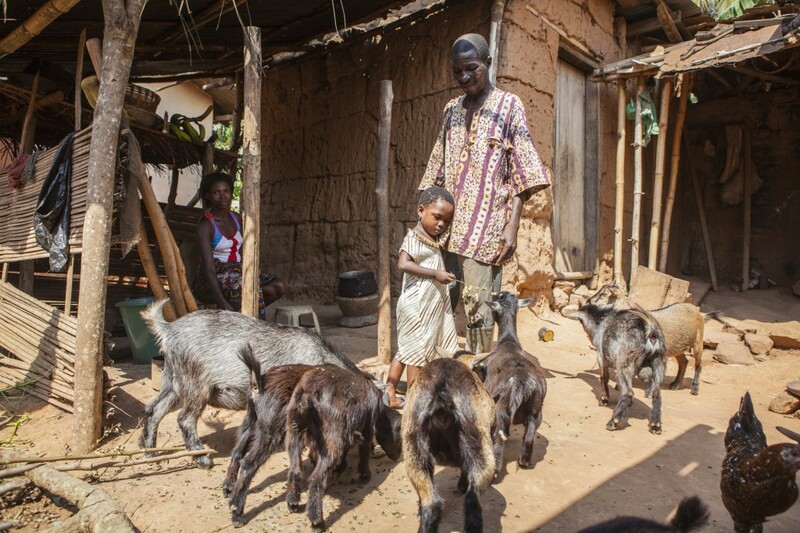 He lives with his wife Rachel and his children in a small house with a small patch of land where he farms and keeps goats. Last year Thomas went on a training course about beekeeping organised by YOWE (our partner in Ghana). 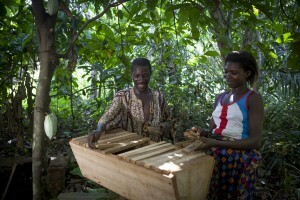 He learnt how to set up a beekeeping business, collect the honey and sell the honey to make money at market. Thomas used this loan to buy nails and wood. He then contracted a local carpenter who built him a beehive and another local person to make a veil to cover his face when collecting honey. Once he had everything ready he was able to get some bees for his hive. He was really happy when he was able to harvest his first honey. He bought jars to store the honey and took it to market. With the skills he learnt in the training session with YOWE, he was able to sell the honey at the market for a good price. 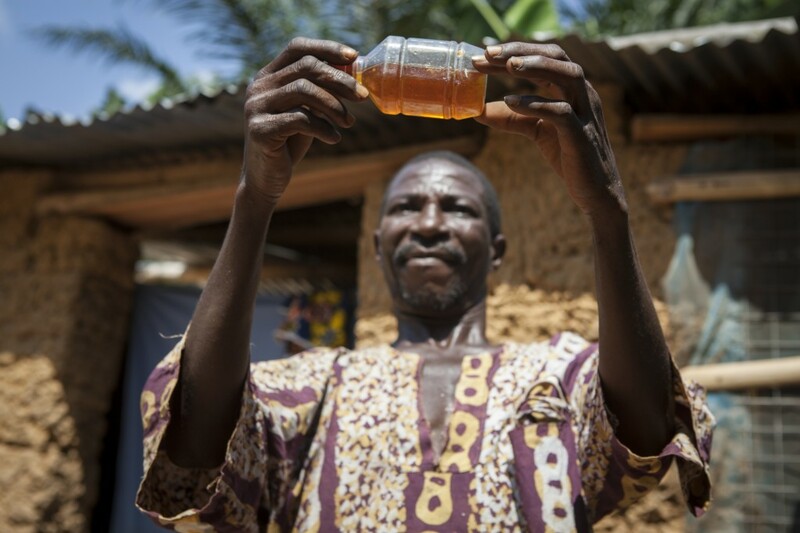 Once Thomas started selling the honey he was able to start repaying the loan. For such a small amount of money a whole families life can be transformed. Thanks to Village Aid’s support, Thomas is now able to sustain his income in an area where crop farming has become a less reliable source of income due to climate change. There are lots of other people in Ghana who could do so much with under £20. To help more families like Thomas’ you can sign up to a regular gift to Village Aid here.